Oregon blacks scent: full of pineapple and apple, with hints of port wine, rose and chocolate. Similar to the european blacks, but more mild in flavor. 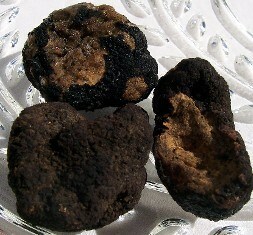 Frozen truffles retain most of their flavor, but the texture suffers some. It is best to cut them when they are just thawing.